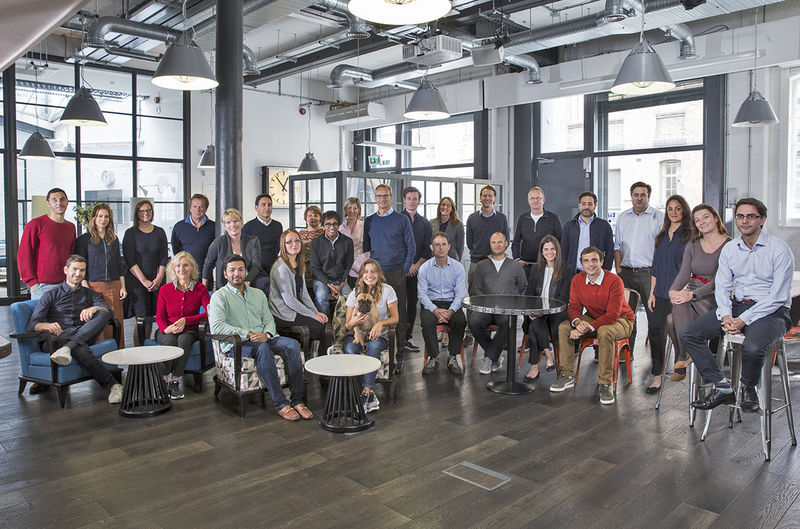 It gives us immense pleasure to officially announce the raising of our latest fund, Balderton VI. For collectors of such detail, the fund is a $375M fund that will be invested in Europe and primarily at Series A. Our last fund was very similar—Fund V was a $305M fund that invested primarily in European Series A and was launched three years ago in 2014. You can read the official press release here, but we thought it was worth highlighting a few key things we found during the process. We believe in focus. It’s something we say all the time to entrepreneurs and we try to eat our own dog food. Fund VI is the third fund at the firm to have many of the same partners following essentially the same investment strategy: pan-European, early stage, founder-led. History shows that this strategy has worked for us. Fund IV now has three billion-dollar companies (The Hut Group, Talend Corporation and Kobalt), all of which started with Series A investments many years ago and a number of other companies that continue to develop well. The younger Fund V companies haven’t got to those heights yet, but no fewer than nine of them —Crowdcube, Carwow, Frontier Car Group, Lovecrafts, Motif, Nutmeg, Prodigy Finance, Revolut and ROLI — have already raised more than $20M since we first invested. This reflects an unprecedented pace of growth for us and, we believe, Europe in general and gets us very excited about what comes next. Given these great results, despite the temptations, we’ve chosen to stick to what we do best and Fund VI will focus on the same sorts of investments. We are not new at believing in Europe. The firm was founded 17 years ago and has already invested over $2B in around 200 technology companies on this continent. However, we are thrilled that an increasing number of people believe in Europe these days. Historically, even if a European company has a smarter team, a better product and more advanced initial traction, they’d often struggle to raise the growth financing required to take the fight to the global stage. Most frustrating for the entrepreneurs, this lack of belief in European companies by later stage investors also hurt those of us who invest early. This has changed. In the year to date in 2017, European companies raised $6.5B in aggregate in later stage financing from a mixture of local and international growth investors. This is six times the level in 2010 and means that companies here can finally grow as fast as they deserve. Finding great entrepreneurs and convincing them to accept an investment is just the first thing we do. After that there is a journey—often seven or eight years long—when those entrepreneurs deliver on their global vision. We are fortunate co-passengers on that journey and we continue to spend a lot of energy in being as effective as we can during the process. Our team has a background of founding and building multiple billion-dollar companies and our equal partnership structure means every one of our entrepreneurs gets every one of us. We’ve also continued to invest in everything else—last year we held over 70 events (we believe more than any other European VC) at our office and elsewhere, we now have fully-functioning Talent and Marketing teams led by Kiana and Alice, who both learned their trade in Silicon Valley, and we’re beginning to share some of the support work we do for our portfolio with the broader world with the publication of things like our work on Equity Compensation and Talent. If there is one thing we’ve learned in our industry it’s that it takes more than one founder and one investor to make a success. We are indebted to the incredible work that the growing band of angels and seed investors across Europe do before we get involved and we would not be able to help our founders reach their goals if it wasn’t for the many excellent later stage investors who come in and help provide the capital to help companies explode in scale. And, in all this focus on Founders and entrepreneurs it’s important not to forget they don’t succeed alone–today our active portfolio companies employ 13,000 people and their success is down to all their efforts. In the final analysis, we love what we do because we get to be part of the journey of unique people building organisations that make a dent on the world. We have enjoyed that in the past through the building of companies as varied as Betfair, MySQL and Yoox-Net-a-Porter and are in the trenches with our current portfolio today. If you are just starting out, we invite you to drop us a line: we’ve been doing this for 17 years and we aren’t stopping anytime soon.